Coming in an array of dazzling colors, the ECU 30W e cig vaporizer box mod makes quite the statement. You can customize your style and your vapor with its Variable Wattage feature. Its high capacity battery gives you ample amount of time between vaping, while the box mods' many safety features gives you a relaxed state of mind. Enjoy quality vapor through your ECU 30W box mod and blow clouds for days. To turn your ECU30 Box MOD on and off, click the fire button five times consecutively. Once its powered on your OLED screen will display your battery life, resistance, wattage and voltage. To switch the VV/VW mode press the square button 3 times, that way you can choose your preffered vaping style. The ECU30 allows for you to adjust your watts between 7w-30w and can even support clearomizers as low as 0.2ohms. It will hold its high wattage output even when the power gets low keeping your vaping at smooth sailing. 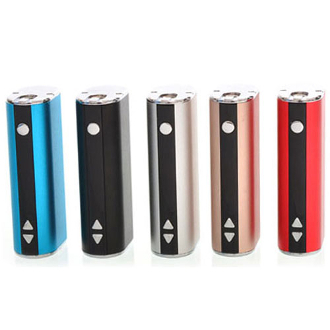 The ECU30 is a passthrough battery which allows you to charge and vape at the same time. The ECU 30 also provides multiple protection functions such as: atomizer short-circuit protection, over 10s protection, and low-voltage protection.